Provide cardholders with autonomy and security and speed at the check-out. 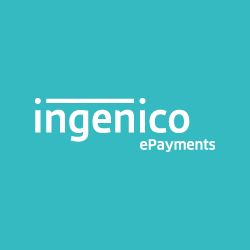 Accept Contactless and NFC payment for very fast and simplified transactions. Connect the iPP310 to any desktop in a few seconds thanks to plug & play installation. The iPP310 meets the highest security requirements. PCI-PTS 2.x and 3.x certified, the iPP310 ensures secure data and application management while enabling highly secured transactions for merchants. The optional PIN privacy shield provides additional confidentiality at PIN entry. 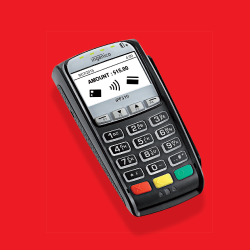 Offering EMV Chip & PIN, MagStripe & Contactless payment, the iPP310 also enables new NFC couponing & wallets use cases. Among the world’s smallest and lightest devices, the iPP310 is designed for easy handling and daily use. Backlit keypad and perfect LCD display readability make PIN entry and all other payment operations very intuitive. Its large keys and powerful buzzer simplify transactions while reducing PIN entry errors. 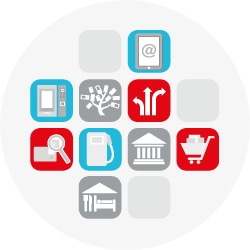 Visual indicators facilitate the contactless payment process for both consumers and merchants. With its USB connection, the iPP310 is easy to integrate into the iCT2xx Series. Very compact, the iPP310 is easy to connect or disconnect thanks to its single cable. 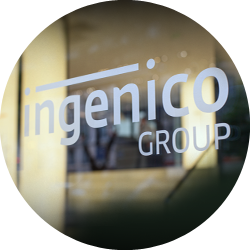 Powered by Ingenico, Telium 2 technology is the result of 30 years’ experience in the payment industry. Secure, highly integrated and fast, Telium 2 is the world’s best platform to provide payment services. 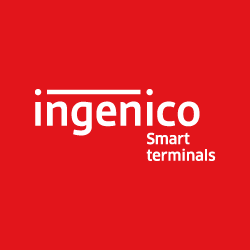 It provides a fully scalable, reliable operating system embedded into the 22 million terminals deployed worldwide.